Operating since 2010, we are the longest running drone aerial video and filming experts in Yorkshire, and amongst the first to use drones in the UK. Our solutions for aerial filming benefit film makers and production companies of all kinds. 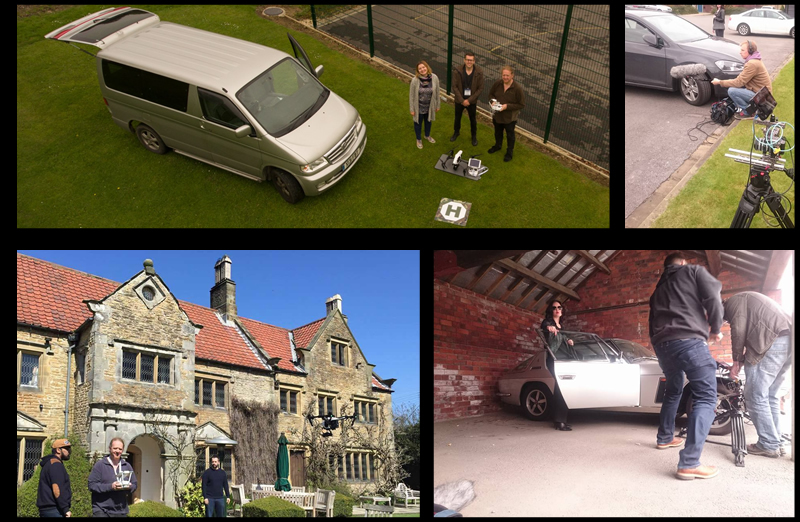 Over the years our drone expertise has provided the best high definition aerial footage for movies, documentaries, commercial projects, internal corporate productions and corporate promotional media. Why use a drone instead of a helicopter? The most obvious reason is you can hire our expert drone pilot and UHD 4K camera gear for a small fraction of the cost of hiring a full size helicopter. Because our drone is small, less than a metre wide, and precisely controlled we can get shots close to the ground, detailed close up views of buildings and scenery as well as fly up to 400 feet in the air to take in vast panoramas and vistas. Our camera drones can fly over a subject, film it from above, pan around it and follow it. We can follow vehicles at speed and swoop quickly over treetops and seascapes. Cutting to these shots in your films and corporate videos will allow you to create a big budget, epic feel. Live viewing screen: We provide a live view of what the drone is seeing so the DOP, director or whoever needs to can line up the shots just right and direct the pilot and drone camera wherever they wish it to go with precise control. There are many people jumping on the aerial photography bandwagon at the moment, most of which have little piloting skills and no photography skills. We are professional, qualified drone pilots as well as professional photographers. We know our drones and we know our cameras. Because of this we are continually making advances with our professional grade drone equipment and cameras so we can achieve the best results for our customers. We are aware that all film and video projects have a production budget, so we are happy to discuss costs and agree in advance on a maximum budget for our aerial filming contribution to the production.